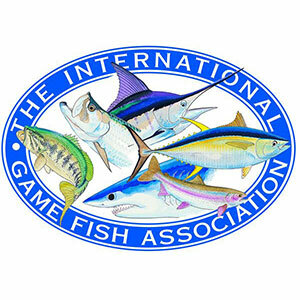 The International Game Fish Association’s New Jersey Representatives will hold their 21st Annual Fund Raising Banquet and Auction on Friday, April 20 at 7 p.m. in Doolan’s Shore Club located on Route 71 in Spring Lake Heights, New Jersey. Hosted by New Jersey representatives Rich Keller, Dave Matagiese, Jeff Merrill and Gene Nigro, proceeds from the evening will benefit IGFA’s Junior Angler and Conservation Programs. Last year 150 guests attended and well over $12,000 was raised for these IGFA programs. Over the past 20 years this event has raised over $280,000 making it one of IGFA’s most successful fundraising events on their annual calendar. A cocktail hour precedes a deluxe hot and cold buffet dinner followed by the popular Fishing Tackle Bonanza Auction where thousands of dollars worth of fishing tackle including rods, reels, line and lures donated by major tackle manufacturers and local tackle shops, plus jewelry, marine artwork and other fishing related items and accessories will be given away. Numerous fishing trips have also been donated by local charter boat captains. The popular Grand Raffle is back again and includes two Maxel Ocean Max rod and reel combos as well as several other valuable prizes. A silent auction and a Tricky Tray raffle will also be held and will include fishing trips, tackle, clothing, gifts, artwork and more! Every attendee will receive a commemorative gift from IGFA. The Canyon Runner fleet at Point Pleasant is almost sold out for canyon trips before September. The best tuna bite in the canyons last year was very early, and there are just a few charters or open boat reservations available by calling Adam La Rosa at 732 272- 4445. The Jamaica from Brielle has scheduled 1 1/2-day tilefish trips departing at 10 p.m. Sundays. The first two will be on April 12 and 27. The fare is $360, and tackle can be rented for $40. Call 732 528-5014 for reservations. Though there’s a chance of rain tomorrow, the wind is only predicted to be southeast at 10-15 knots early before increasing to 15-20 later. Joe Melillo, at Castaways Tackle in Point Pleasant, reports some small stripers are being caught on small plugs in Manasquan River and the canal — where a few flounder are also hitting. Grumpy’s Tackle in Seaside Park has had good and bad reports on school striper action in the back bay as the fish seem to be spreading out. Flounder are also finally feeding as one regular had a limit up to almost 17 inches. Bloodworms are the best bet for both species. There’s been nothing from the surf so far. There was the usual big crowd last night at the Salt Water Anglers of Bergen County Past Presidents Dinner. I’ll have more about that tomorrow.